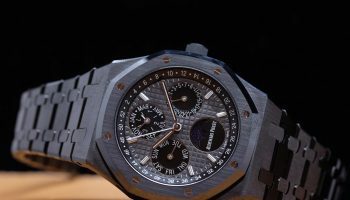 The Royal Oak Offshore is one of those watches that doesn’t need an introduction. 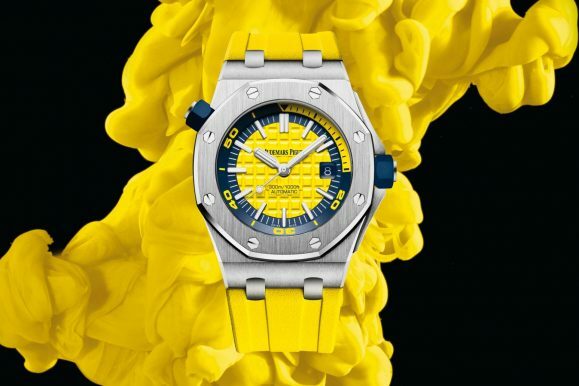 As the more sportive sibling of the Royal Oak, the Offshore is a bold statement by itself. To capture the true summer vibes Audemars Piguet took it even a step further and created versions in colors like acid green, deep pink and sand buff, colors you might ask yourself if they go well with a design for which the term iconic is somewhat of an understatement. 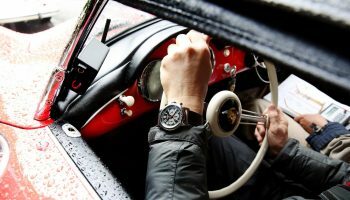 The result is however quite expressive and captures perfectly that summer feeling while adding even more personality to the watch. 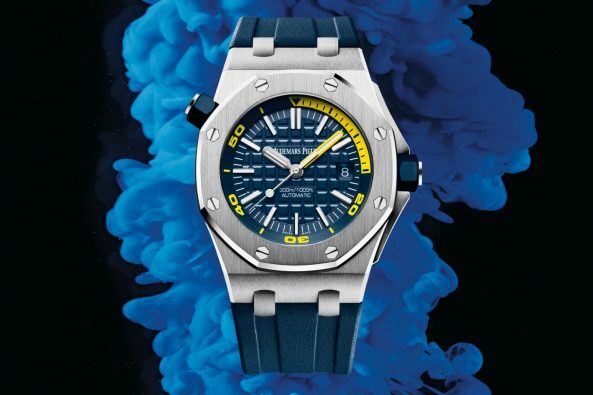 The new 37mm Royal Oak Offshore Chronograph is now available in five of those vibrant colors, with contrasting subdials for improved legibility yet matching rubber strap. 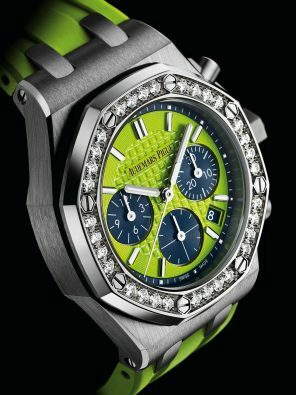 It is a watch for women who like to stand out and do so with quality and confidence. 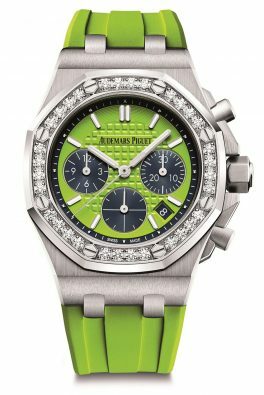 The steel case of the Royal Oak Offshore Chronograph draws attention with its perfect finish, while the bezel is set with brilliant cut diamonds for a dash of glamour. 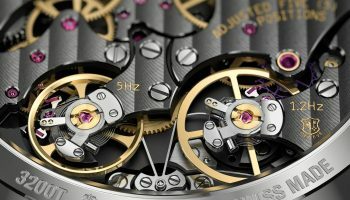 Inside ticks, of course, a manufacture chronograph movement by Audemars Piguet, which is a jewel of its own. 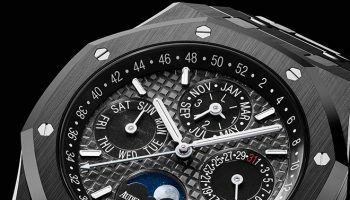 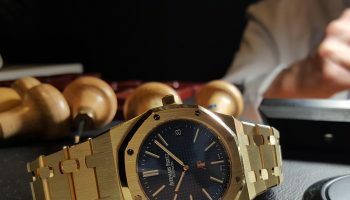 Those who prefer a slightly larger watch will be happy to hear that Audemars Piguet now also offers the 42mm Royal Oak Offshore Diver in new colors. 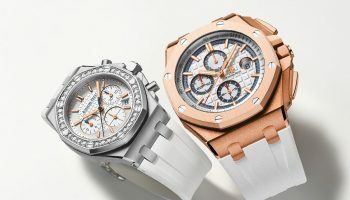 With these watches, the brand shows once more its ability to capture the summer vibe in its iconic high-end sports watches. 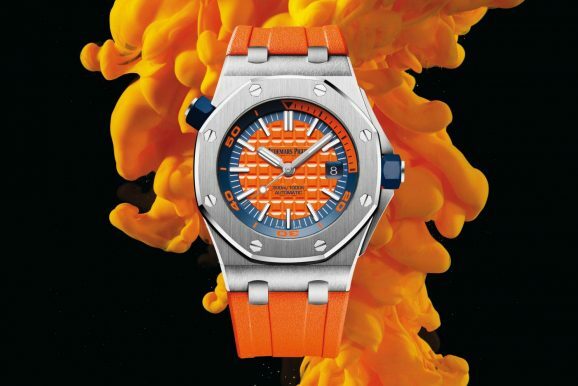 Edox Delfin Chronograph Rose PVD: dolphin or goldfish?